Every person that works or participates in any type of cold weather activities should have a good pair of winter boots for every member of the family. However, it is possible to get a little confused about winter boots and snow boots. Each type of boot is designed for a specific function. Your use for them should be the most important factor in determining which type of boot you will need. A winter boot is usually an all purpose type of boot designed for general use in cold weather. They are also usually water-resistant but not water-proof. The snow boot, however, is specifically designed for deep snow and very wet conditions. Almost all snow boots will do a good job of protecting your feet in the winter. Unfortunately, many winter boots are not considered adequate for use in extremely harsh winter weather conditions. Snow boots are basically specialized winter boots. Snow boots are designed to keep your feet warm and dry in extreme winter weather conditions. They achieve this by generally being water-proof and not simply water-resistant. Winter boots will usually not be able to withstand these extremely harsh conditions and they will eventually get soaked due to these harsh conditions or high snow levels. Another feature of a good snow boot is what is typically known as a “snow gator”. 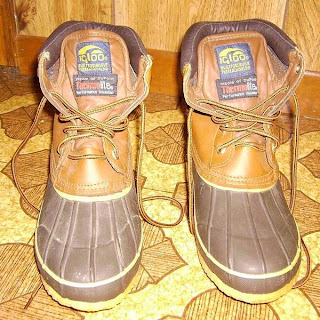 The majority of winter boots do not have a “snow gator”. A “snow gator” is a design feature that keeps snow from getting into your boot. The most common type of “snow gator” is a drawstring located at the top of the boot. This drawstring allows you to close off the top of the boot and thereby prevent snow from getting into your boot. Another feature of a good snow boot is their height. A good snow boot is usually taller than a standard winter boot. This extra tall feature also helps to keep snow from getting into the top of your boot. The last and possibly most important feature of a good snow boot is their rubber bottom. Rubber provides 100% waterproofing and is absolutely necessary for any extended time outdoors in cold, wet weather. Snow boots are also a lot easier to clean as a result. Depending on your winter weather conditions and your intended type of activity outdoors, you will need a good pair of boots for winter weather. Your feet will appreciate it very much!